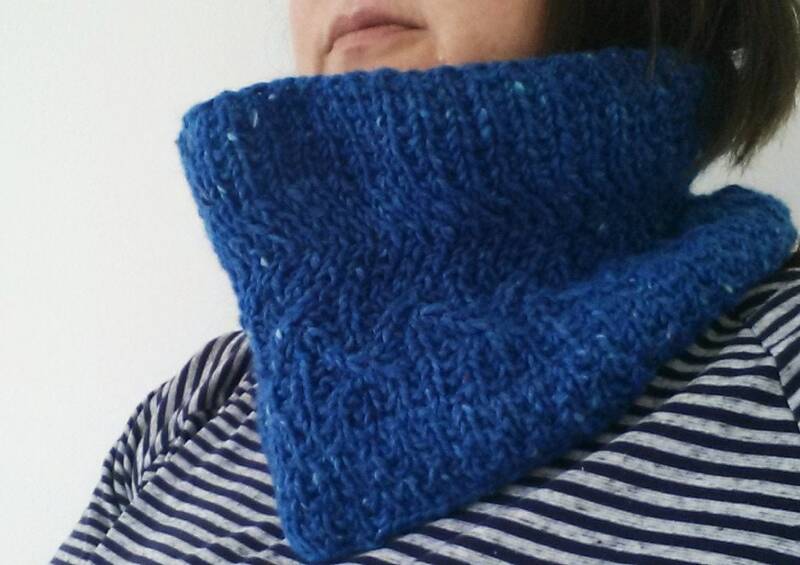 Knit cowl: wool alpaca circle scarf. Original design. Made in Ireland. 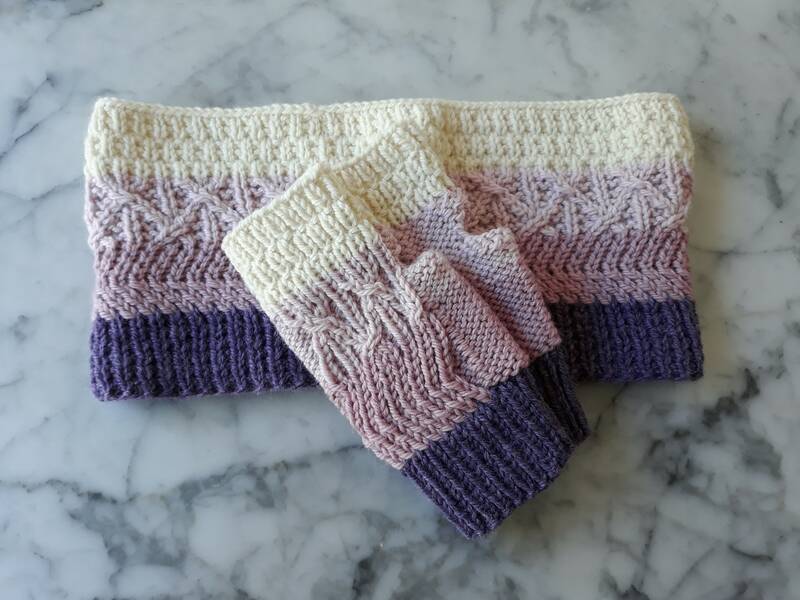 Knit scarf for her. 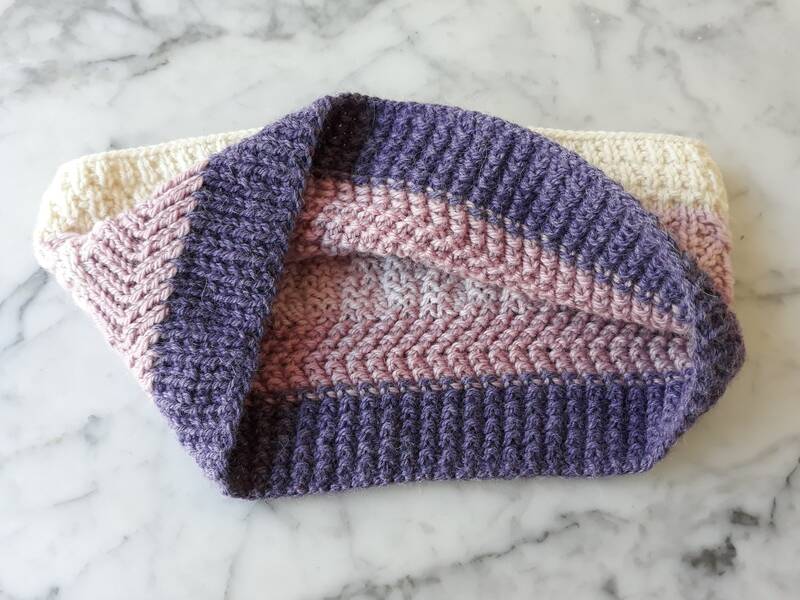 Cowl for her. 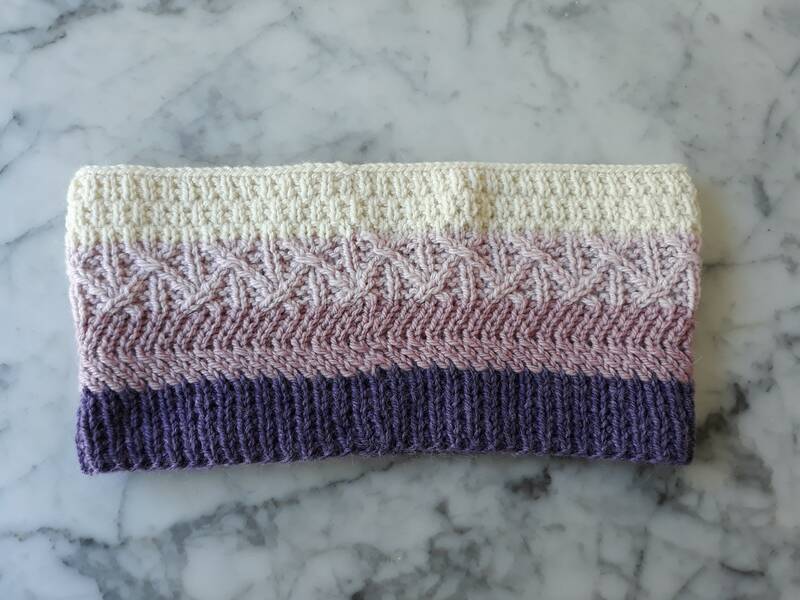 Woman's scarf. 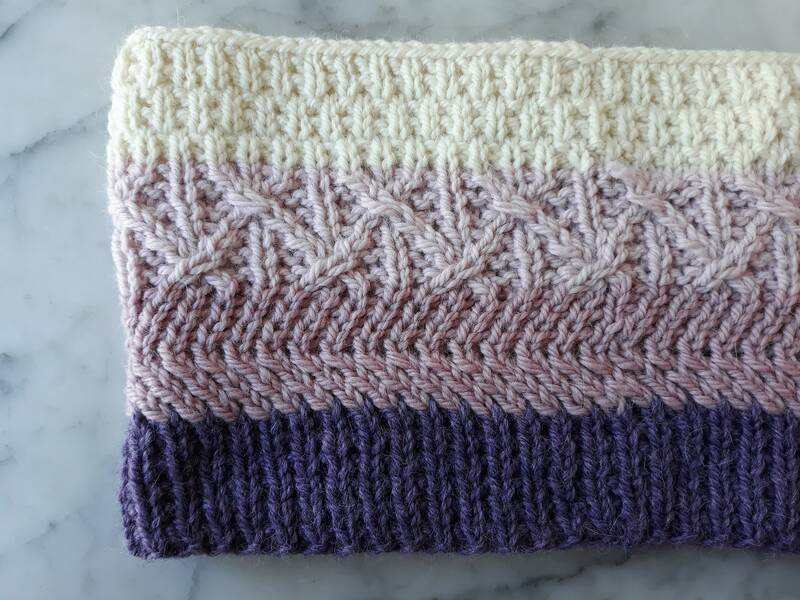 Woman's cowl. 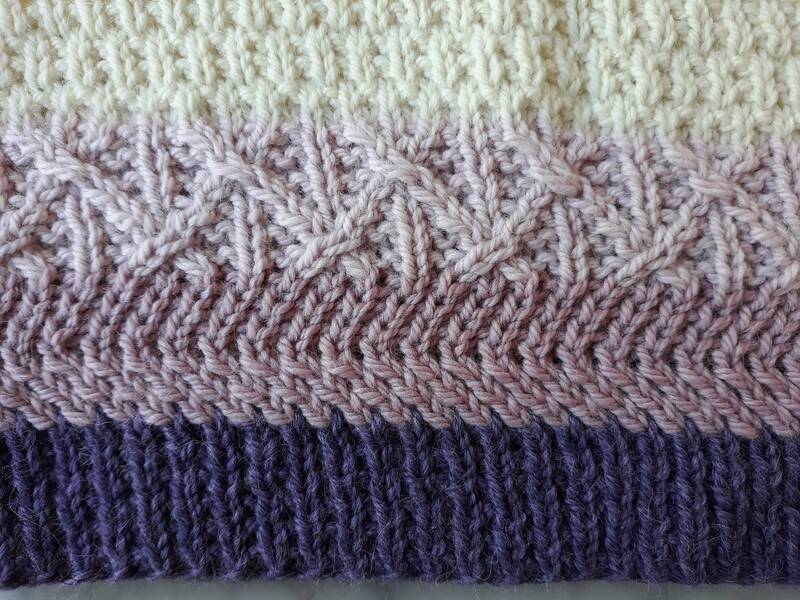 Knit cowl: wool alpaca scarf. 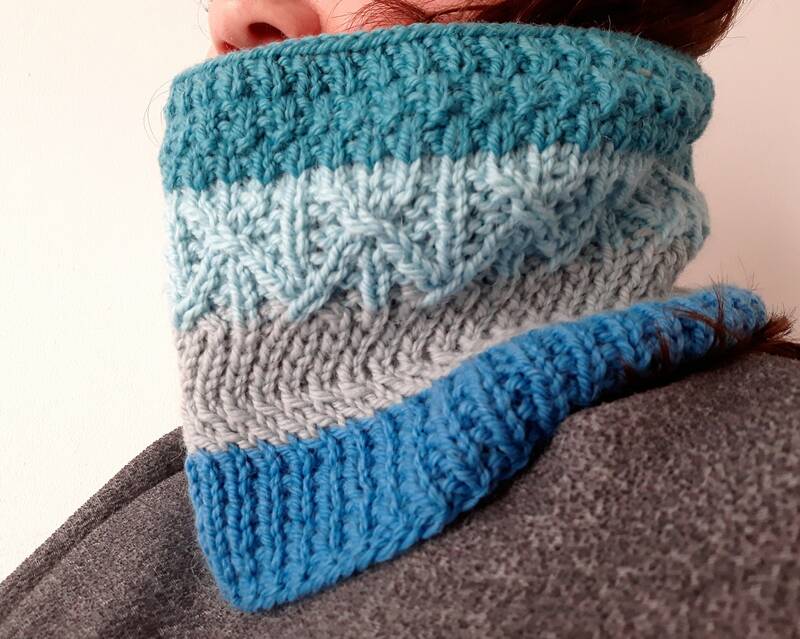 I knitted this gorgeous striped cowl from my own original design (the pattern, Saoirse Aran Cowl, is exclusively available from Vibes & Scribes, Cork, Ireland). 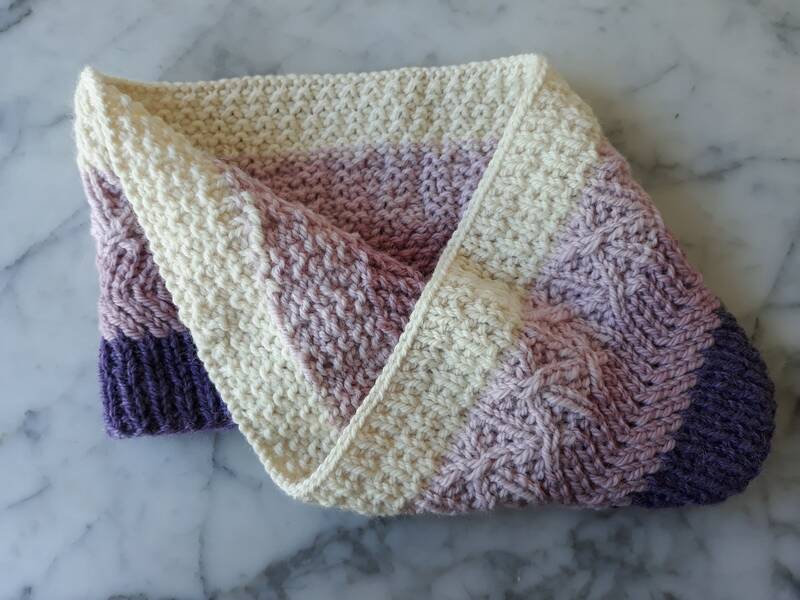 The yarn I used is so soft and cosy! 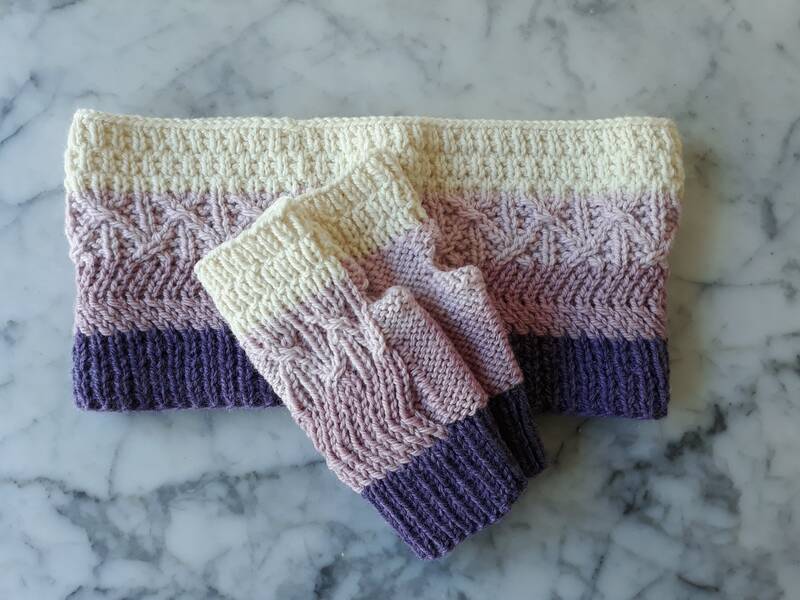 It's a wool/alpaca mix by the Norwegian yarn company, Drops, and is soft and comfortable to wear next to the skin. 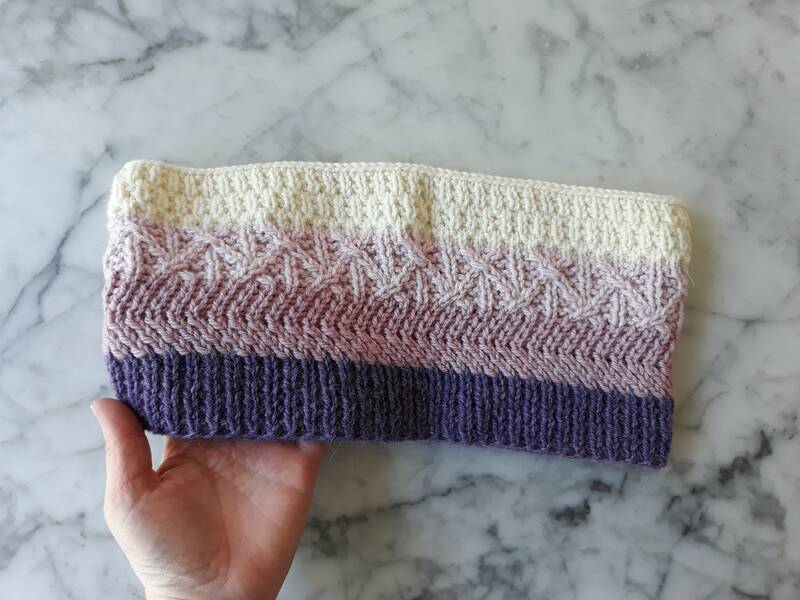 The design incorporates four different stitch patterns (one for each stripe), and is designed to look good whether you fold it down, or wear it upstanding. You can see the textured reverse side in the photos above. The cowl measures around 23 inches/59 cm in circumference, and 6 and a half inches/16.5 cm in height.